Lee’s Summit, Missouri is continually a popular destination among homebuyers looking to relocate in the Kansas City Metro area. Lee’s Summit is a remarkable city that was ranked on Money Magazine’s list of the “Top 100 Best Cities to Live in in the United States.” Lee’s Summit has also been recognized at one of Missouri’s “Top 10 Happiest Places.” Buying a home in Lee’s Summit affords people a quiet, charming hometown with quick and convenient access to all of Kansas City’s best shopping, dining, entertainment and recreation. 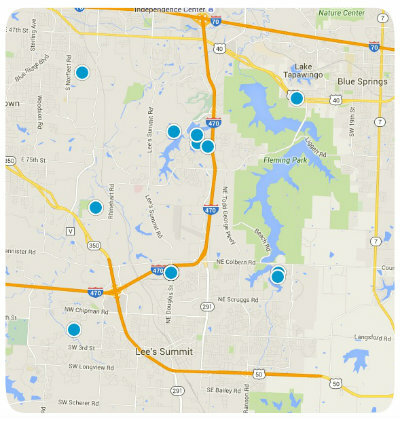 In Lee’s Summit there are diverse real estate options in its many remarkable communities and subdivisions. Windsboro is one such subdivision located off Langsford Road just east of Blackwell Road in southeastern Lee’s Summit. Windsboro is a family friendly community known for its quiet, peaceful atmosphere. Residents describe Windsboro as safe, socially active, and family oriented. The single family homes for sale in Windsboro vary in price depending upon the property’s age, size, style, location and specials features. Typically Windsboro homes range from $200,000 to $300,000. Windsboro has great community amenities including a swimming pool which is often enjoyed by the community’s children. The Windsboro community is located with acres of gorgeous green space and five ponds. Students in Windsboro attend Highland Park Elementary, Pleasant Lea Middle and Lee’s Summit High schools. If you would like more information regarding homes for sale in Windsboro of Lee’s Summit, Missouri, please contact us today, we would love to help make your home buying dreams come true.